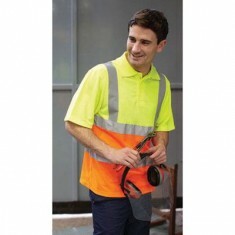 Whether you’re looking for a simple waistcoat to put on around the workshop or a padded jacket for patrolling the grounds, promotional Safety Jackets will ensure you are noticeable wherever you go. 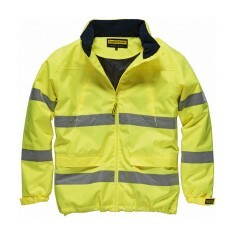 Our range of personalised safety jackets has something to offer for everyone. From Childrens Safety Vests for learning to ride a bike to a Bolt Safety Fleece to combine warmth and visibility in the darker months of the year. 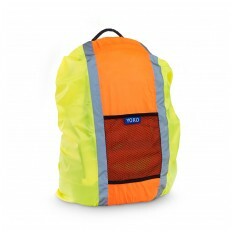 Custom printed safety jackets are great for promoting safety inside any construction site, factory or production facility as well as any learn to ride classes or children’s road safety classes. 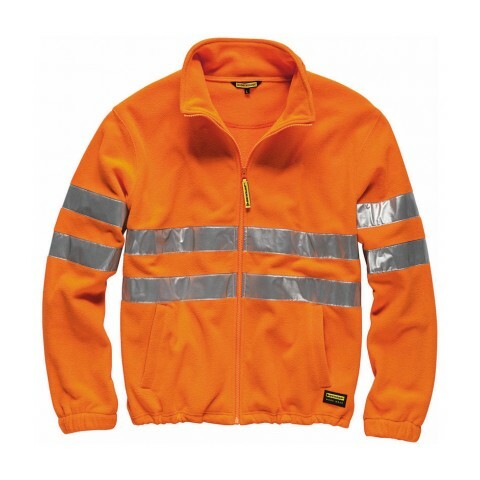 Branded safety jackets make an excellent uniform item and are reusable meaning they have great longevity and therefore make excellent return on investment. 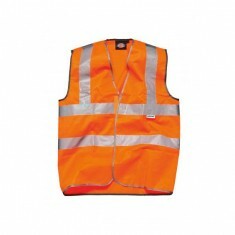 One of the most popular in our range here at MoJo is our custom printed Safety Waistcoat. 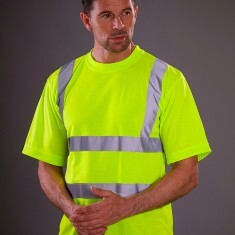 Available in either yellow or orange depending on your preference, this safety jacket is excellent for construction sites, waste disposal yards or factories for making sure staff and visitors can be seen. This jacket is made from a lightweight polyester and the excellent branding area is ideal for making sure your brand can be seen by everyone. If you want to check out the quality of our branded safety jackets for yourself, give our sales team a call and they will be happy to sort out a sample! Anti pilling treated fleece of 100% polyester. Weight: 280/300gsm. 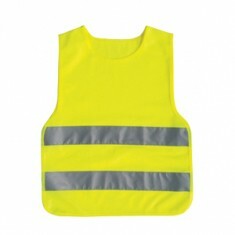 Be safe and seen with our custom branded Children's Safety Vest. Great for cyc..
Polyester material. Lightweight. Velcro closure. Quick turnaround. Various branding positions. Fits most 20-25L bags. Elasticated edges. 100% polyester. Reflective stripes. Branded to panels. Two visibility straps around body & one over each shoulder. Velcro fastening. Reflective bands around body and one brace over each shoulder.100% polyester, ..
3M scotchlite bands around body and over shoulders. 100% polyester material. Up to 6XL size. Reflective stripes on chest. Dunlop tab label. 170gsm. 100% polyester. 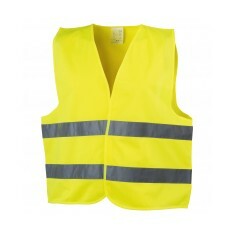 Available in orange or yellow. 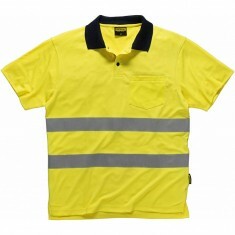 Fabric of 100% padded polyester Oxford with PU coating. Lining is 100% polyest.. Promotional Products, Crafted with in Great Britain. © Mojo Promotions Ltd, 80 Rutland St, Leicester, LE1 1SB.